In this category, we are taking you back in time to the cassette era. 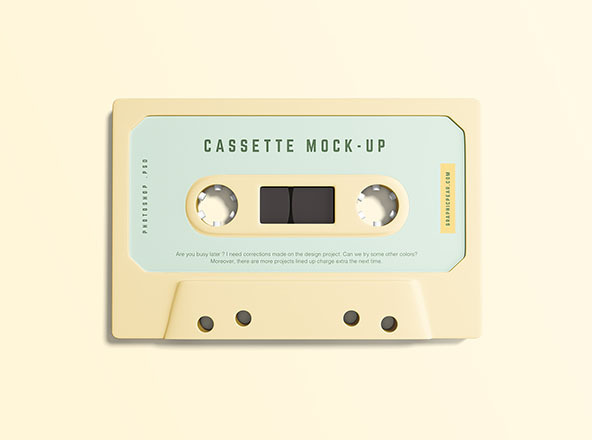 Here, you will find PSD cassette mockups to use for your branding projects. They will give your design a fresh and vintage look. Showcase your logo, badges, artwork, and texts in a stunning way by customizing via smart objects. They are high-quality mockups that will complement your design projects well. Check out our unique selection and make your choice.